Ashbee Design: 2018 Additions to Tea Light Village. 2018 Additions to Tea Light Village. 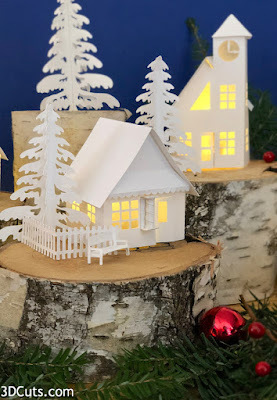 I have been creating buildings for Tea Light Village since 2014, and each year I seem to design 2 more. 2018 is no exception. 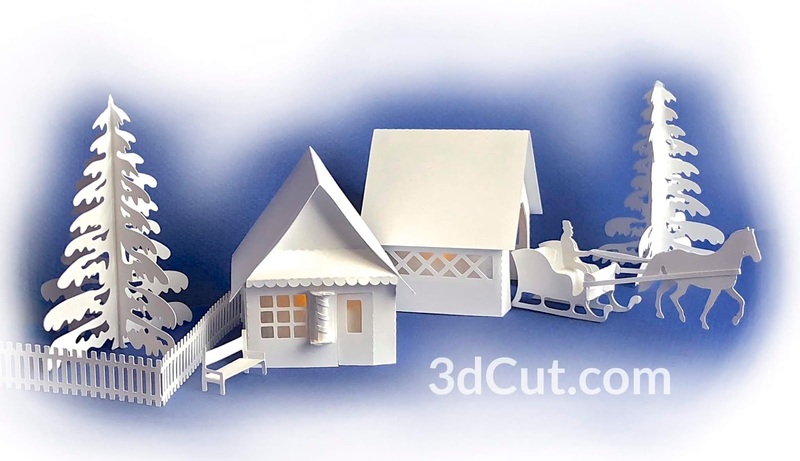 I have just added a Barber Shop with iconic pole and a Covered Bridge with a horse-drawn sleigh to the store at 3dcuts.com. Both are great additions to this charming village. The covered bridge reflects some of the design elements you will find a various bridges around new England. 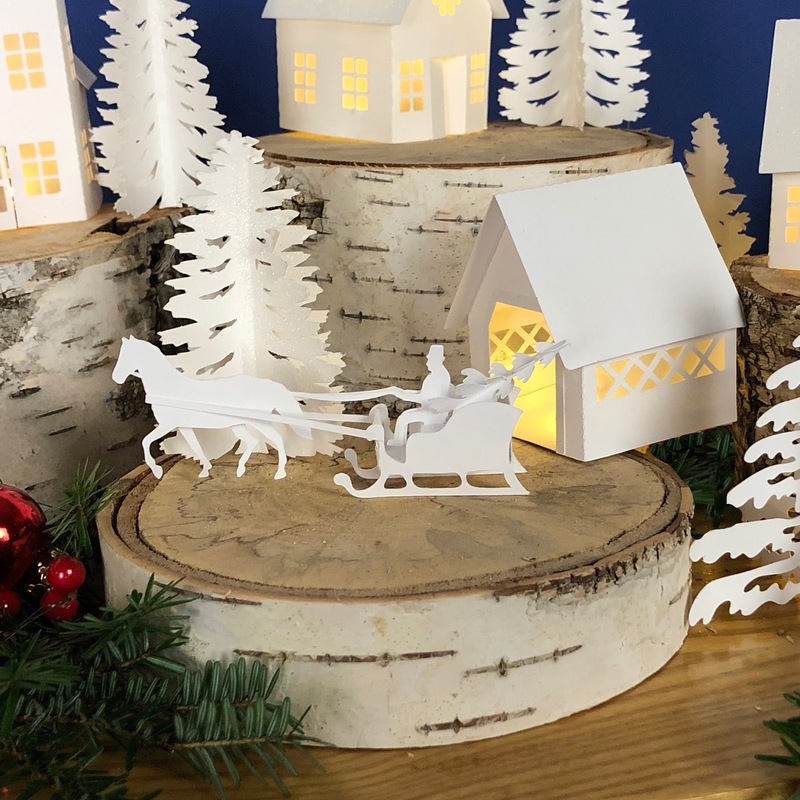 The sleigh comes with driver and a tiny tree for the back. The barber shop file includes a bench, picket fence, and a pine tree. 2018 Additions: If already have Tea Light Village buildings up through 20717 then you can add the 2 new files for $2.59 here. 2018 Complete: If you don't have any of the village you can get all 16 buildings in one download for $12.59 here. See all the available download options here. Barber Shop assembly tutorial is here. Covered Bridge and Sleigh assembly tutorial is here. Which will you make first?